(Family Features) After a busy day of work, wrapping up extracurriculars and gearing up for school, there is an opportunity to relax and share a snack everybody, young and old, can savor. When you’re between activities but still want to serve up a fun, filling option, a simple snack that is easy to prepare for families on the go, such as these Mini Corn Dog Muffins, can be a surefire hit. Made with Gwaltney Great Dogs, they’re a tasty, kid-friendly solution to tide over appetites until gathering around the table with family at dinnertime. In addition, families can help young children in need with the purchase of participating Gwaltney items through a partnership with the Roc Solid Foundation, where a portion of proceeds will benefit the organization from Aug. 27 through Sept. 23. The foundation aims to build hope for children battling cancer and their families by offering opportunities for them to do what they do best – play – through initiatives such as building custom playsets. Find more snacks perfect for back-to-school season and additional details about the program at gwaltneygives.com. Prepare muffin mix according to package instructions. 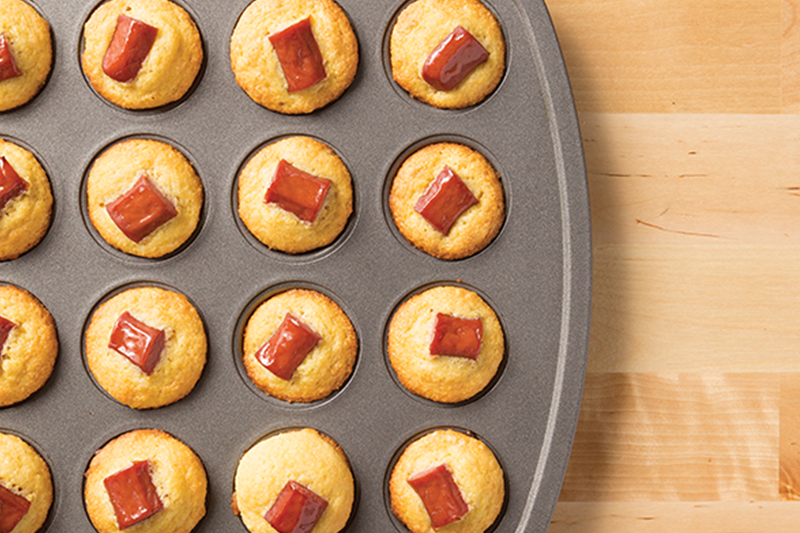 Spray mini muffin tin with nonstick cooking spray and spoon 1 tablespoon batter into each cup. Place one hot dog bite in middle of each muffin cup. Bake 8-12 minutes, or until cornbread is golden brown. Cool in mini muffin tin for 5 minutes before serving.